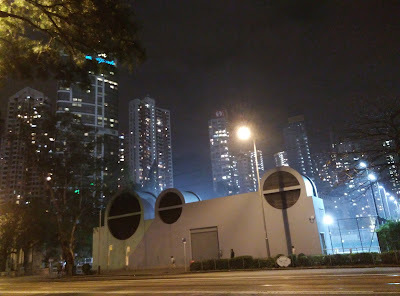 Hong Kong is a quintessentially futuristic city. 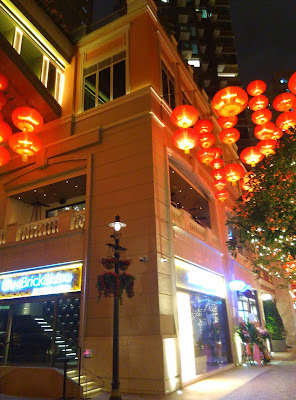 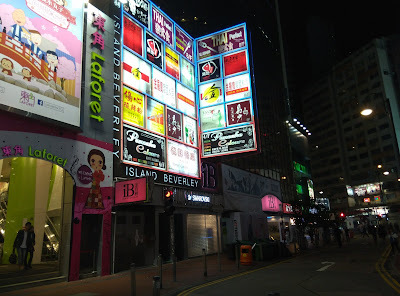 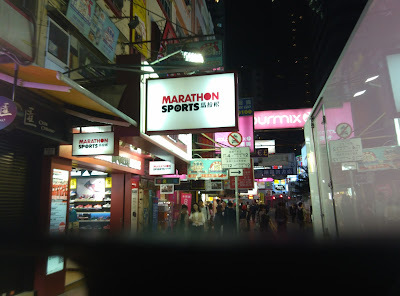 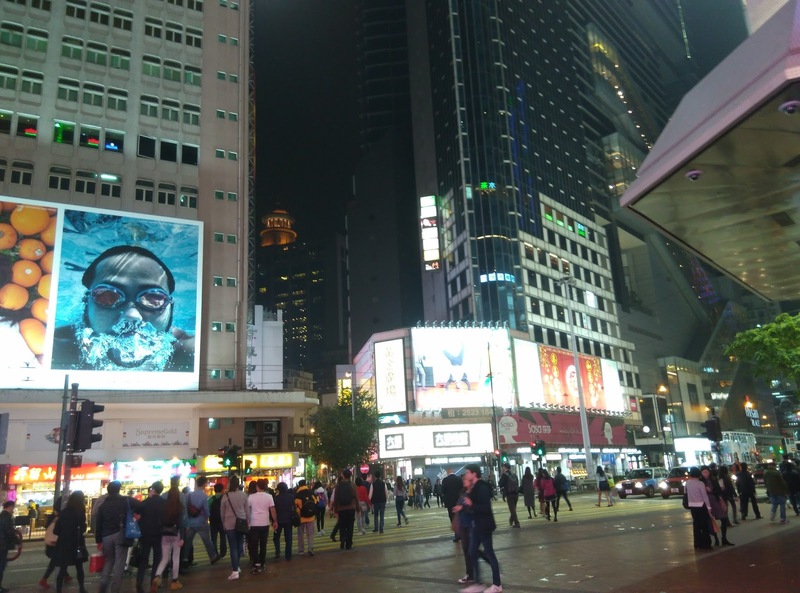 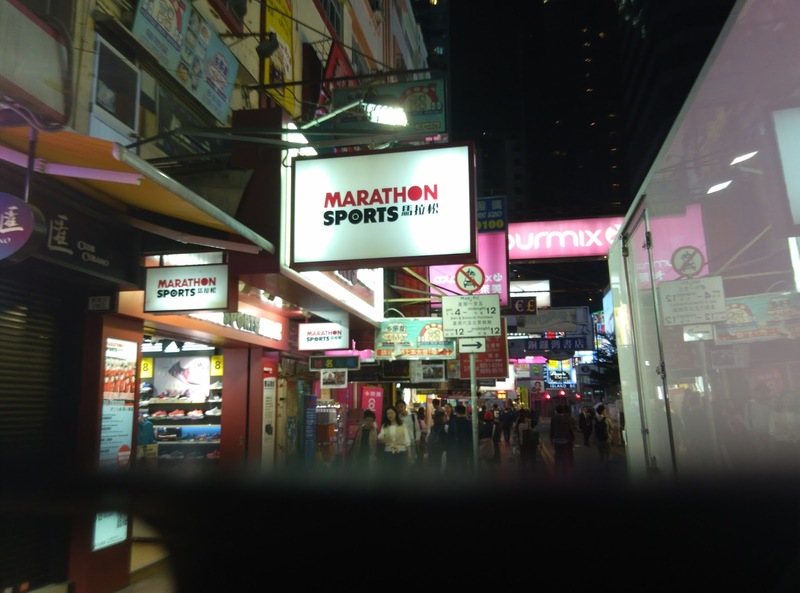 For people like me, who love modern metropolises, simply strolling around among shiny skyscrapers, neon lights and billboards is an amazing experience. Yesterday I had dinner at a vegetarian cafe' called Ovo Cafe'. 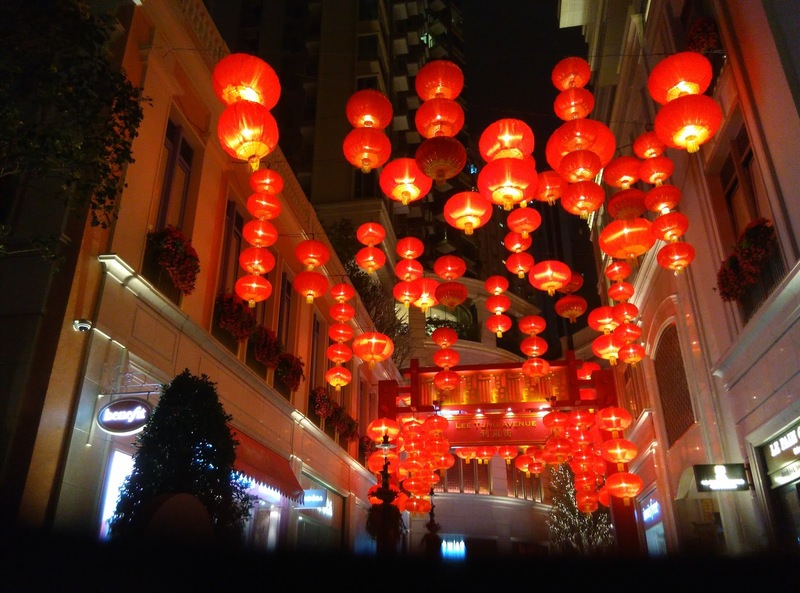 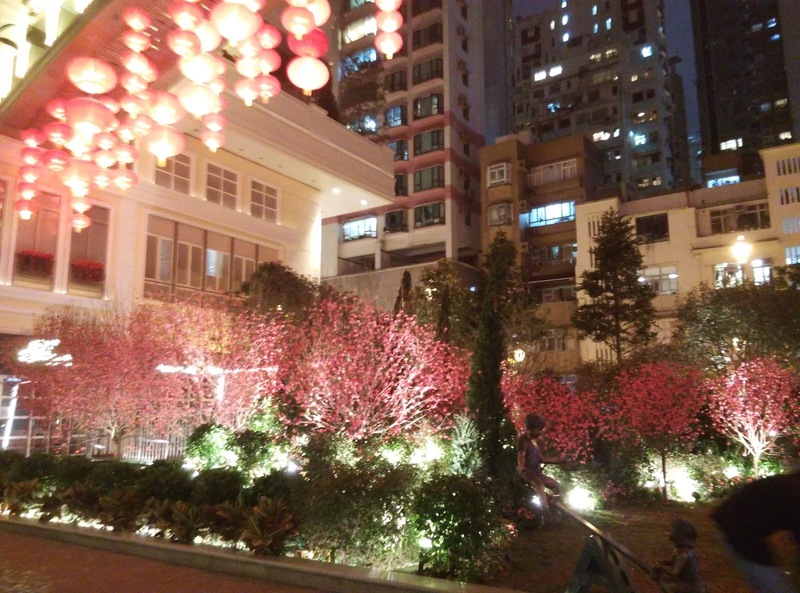 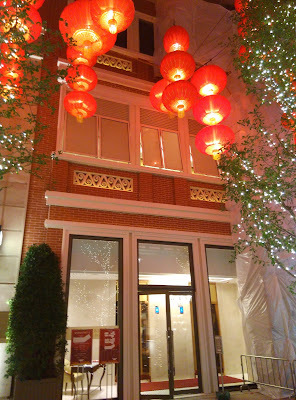 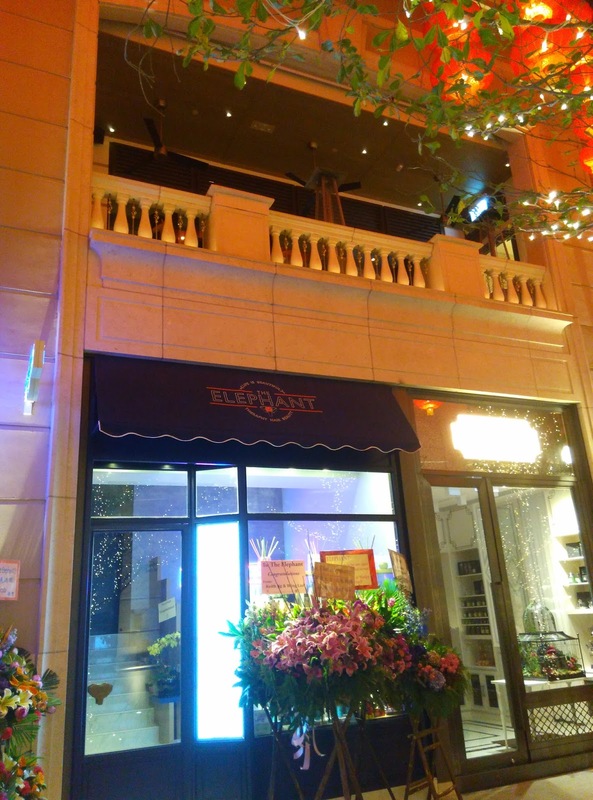 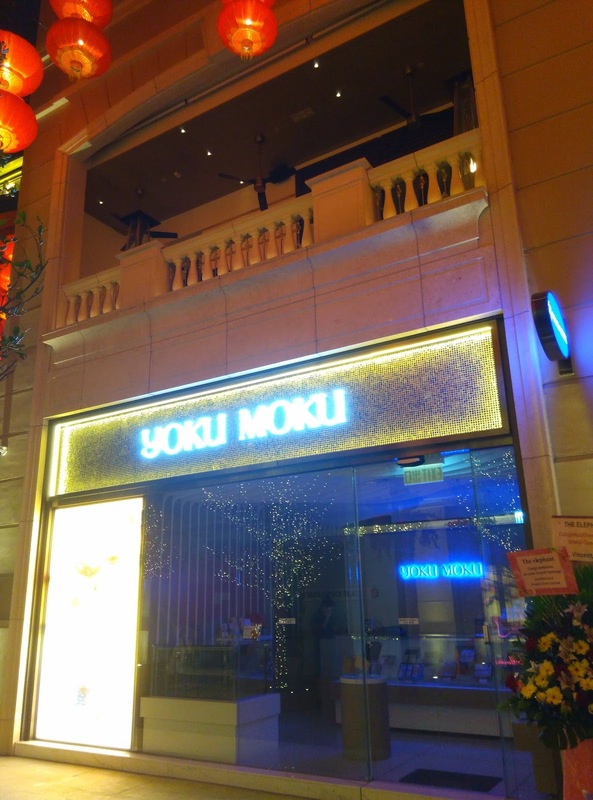 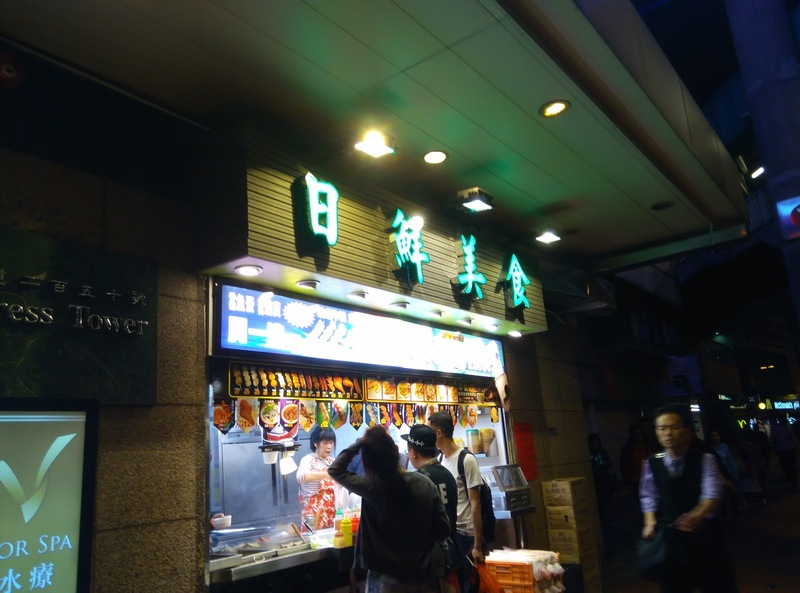 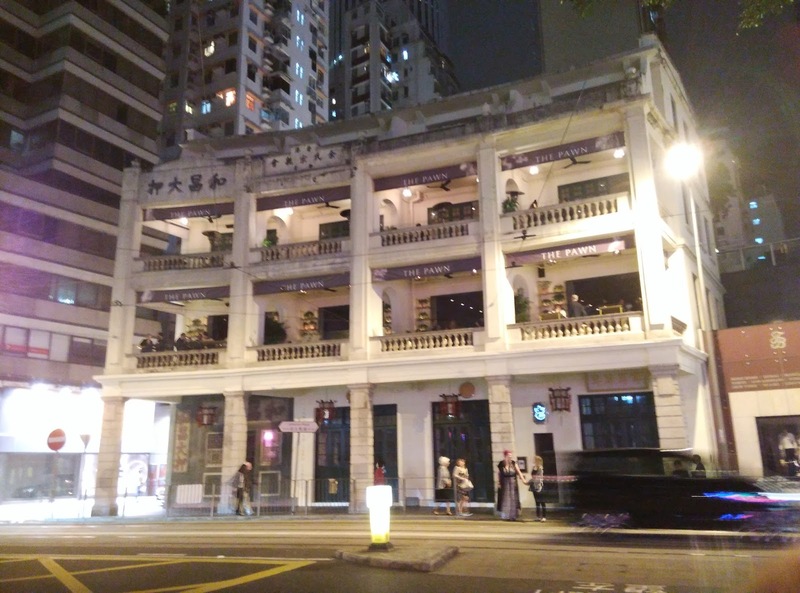 It is located in the business district of Sheung Wan. 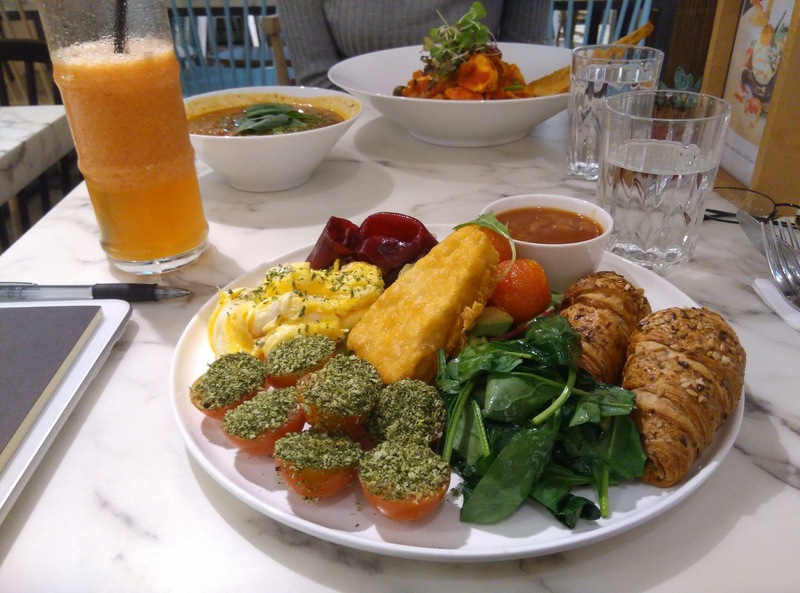 I ordered an all-day breakfast set and a mango smoothie, very tasty (although quite expensive). After my meeting, which ended at around 10 p.m., I decided to walk back to Fortress Hill. As you can see from the map below, this is a 5 km walk, lasting around 1 hour and 15 minutes. While I was walking I took a lot of pictures, and I want to share them now with all the people who are interested in Hong Kong. 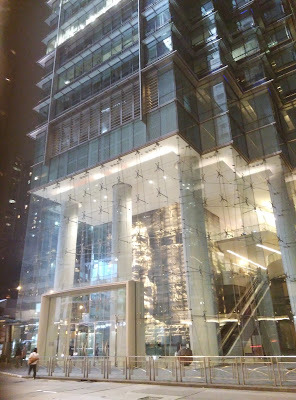 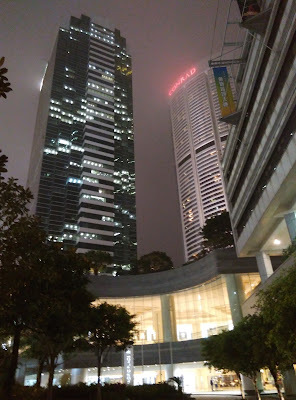 I don't know what you think, but I absolutely love skyscrapers. 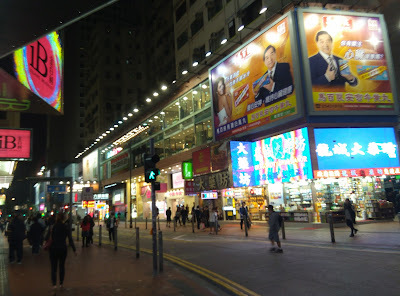 When I walk around in Hong Kong, I keep thinking: "wow, wow, wow, how beautiful!". 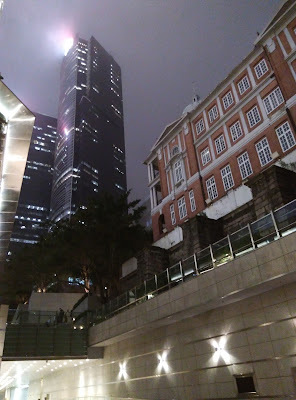 My pictures don't do justice to the stunning view. 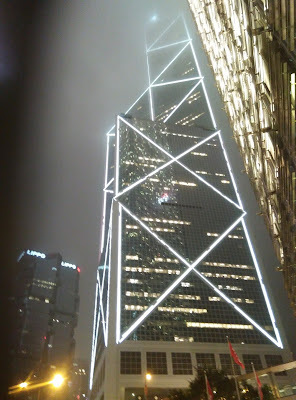 You'd better come to Hong Kong and see this for yourself! The white building above is the old Bank of China Building. 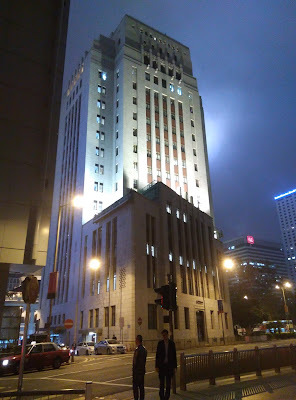 Constructed in 1952, it used to be Hong Kong's tallest building. 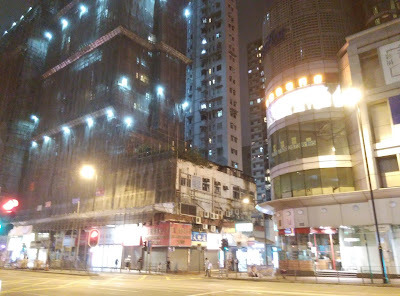 Now it has been dwarfed by dozens of its more modern neighbours. 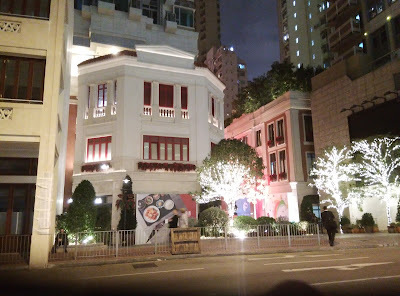 The red and white colonial building on the right is the Court of Final Appeal. 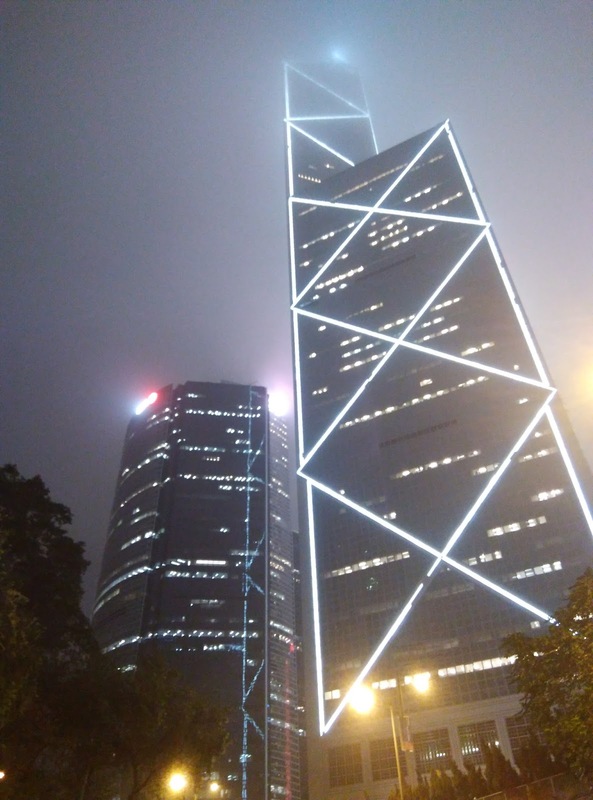 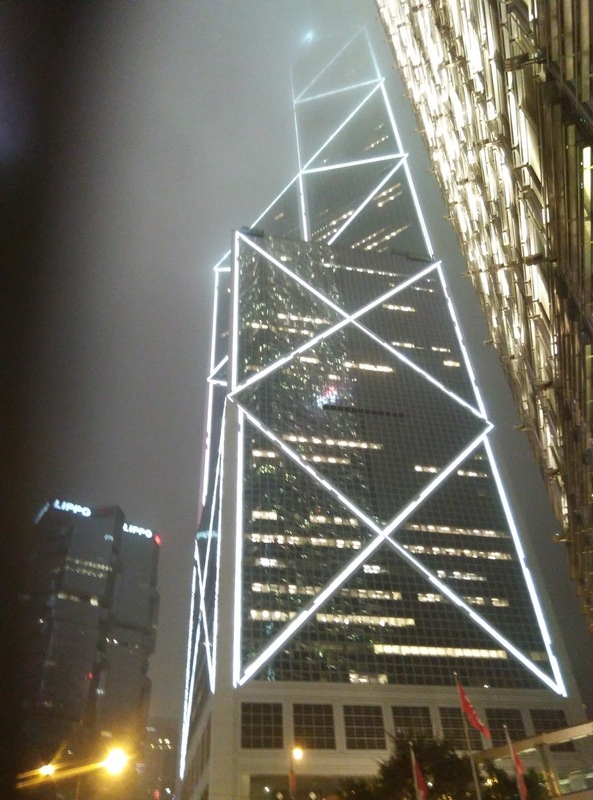 One of my favourites: the new Bank of China Building. 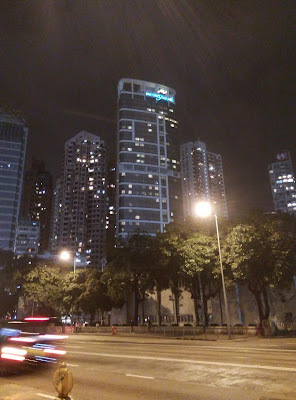 Pacific Place, a huge shopping mall in Admiralty. 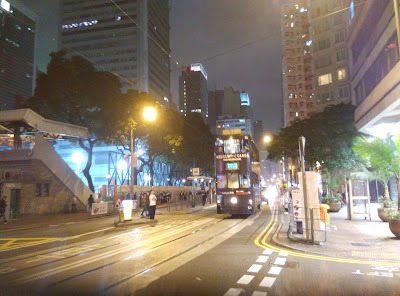 Walking along Des Voeux Road Central you get to Henessy Road. 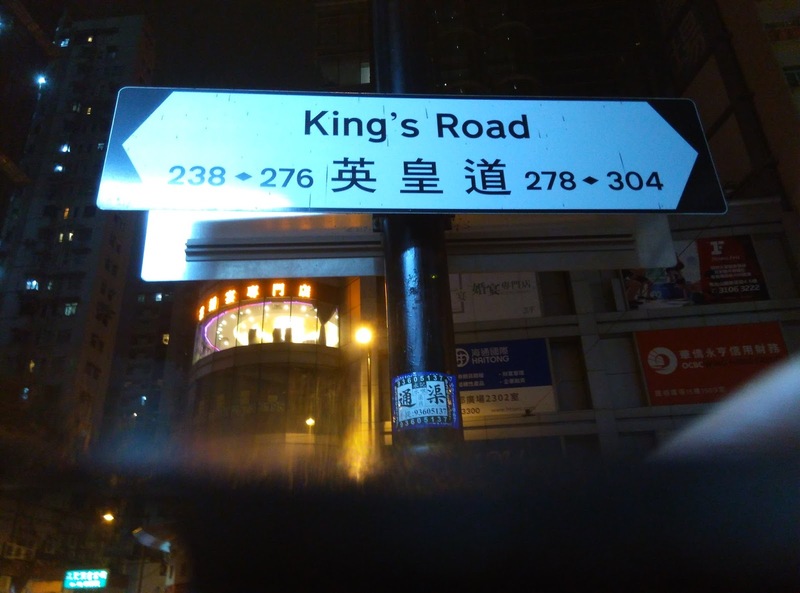 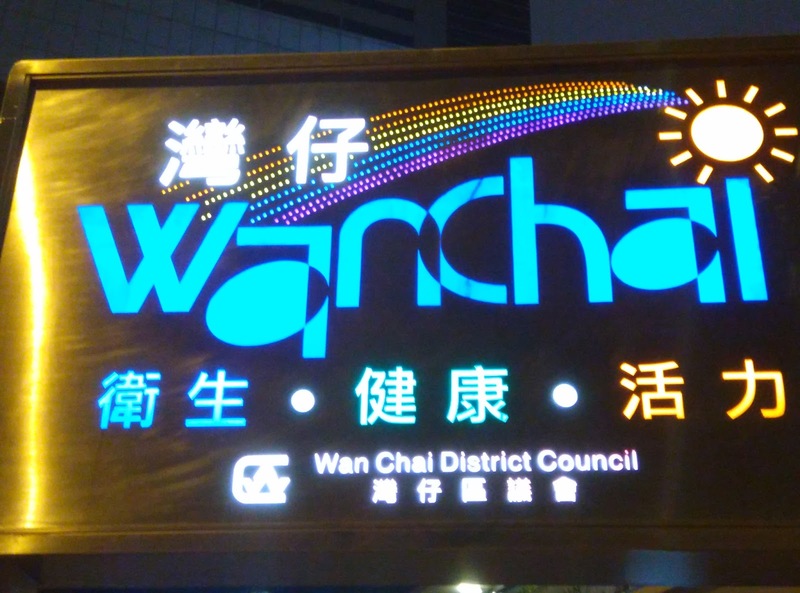 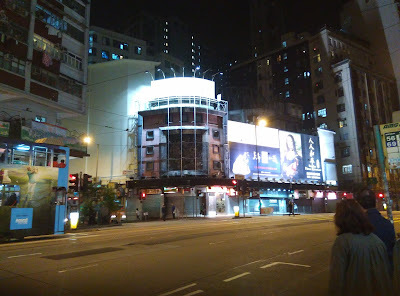 This is the end of Central District and the beginning of Wan Chai, the district where the famous novel The World of Suzie Wong by Richard Mason is set. 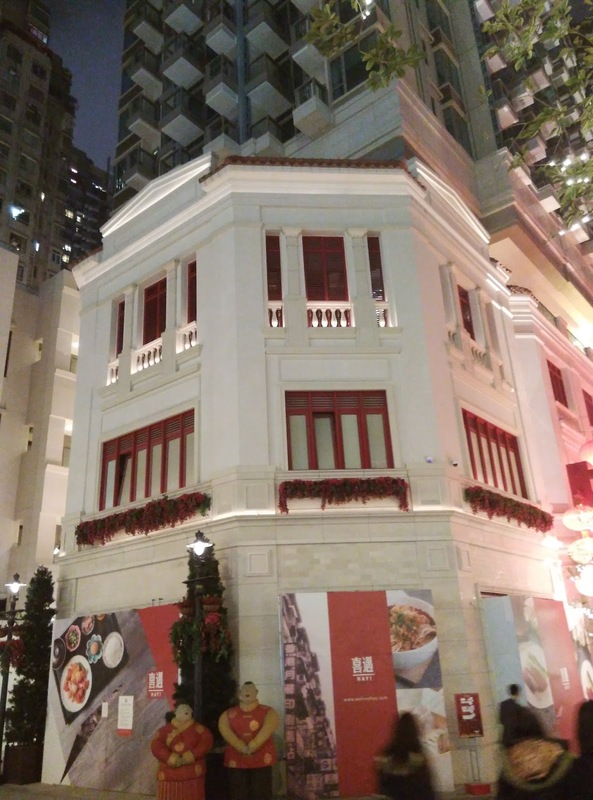 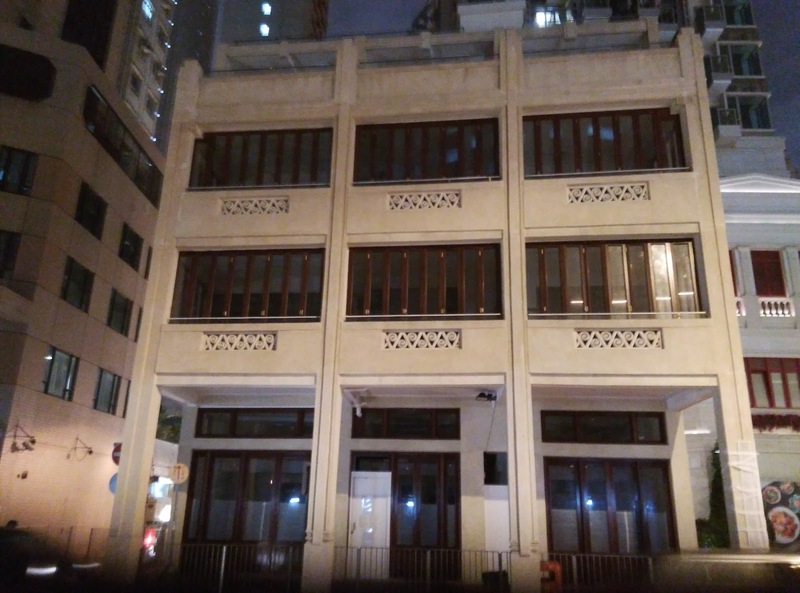 However, most of the old architecture that Mason saw when he visited Hong Kong in the 1950s is now gone, replaced by modern buildings like the one below: Three Island Place. 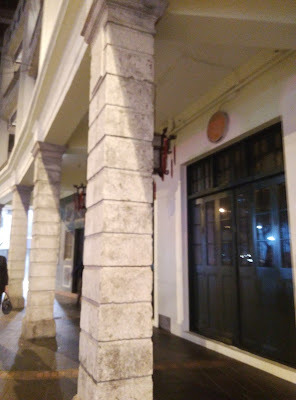 "The Pawn". A lovely colonial building. 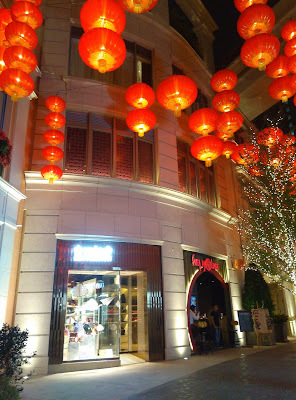 Its style blends Chinese and Western architecture. 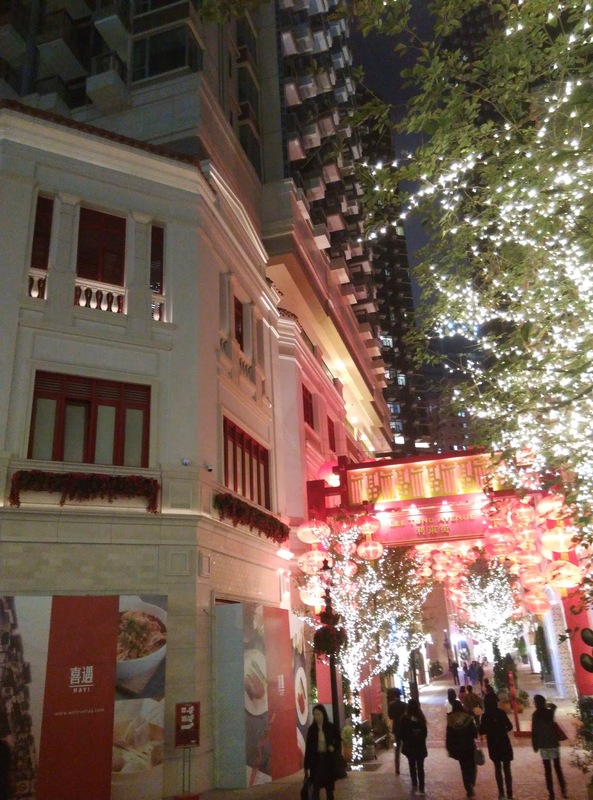 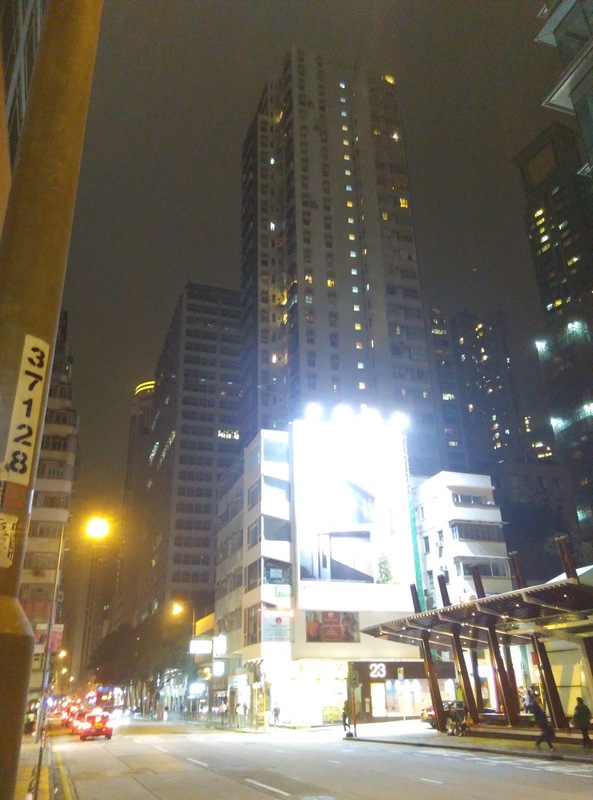 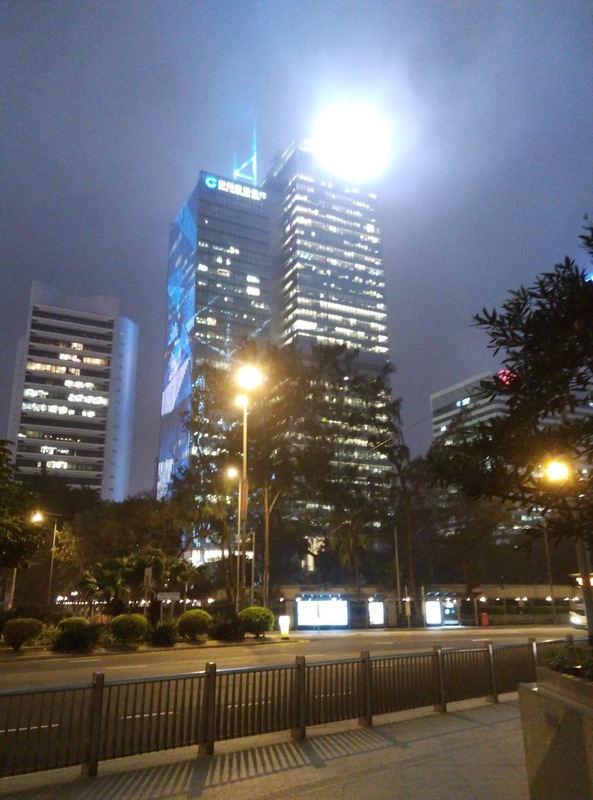 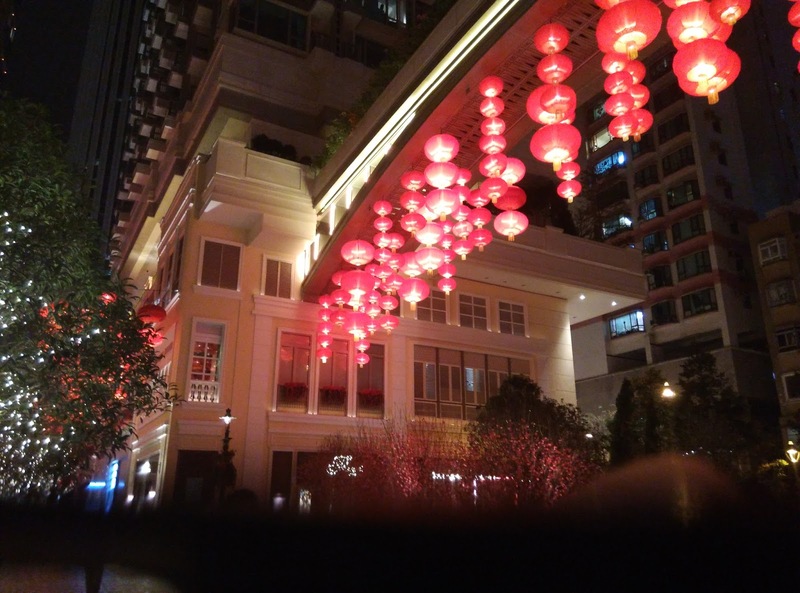 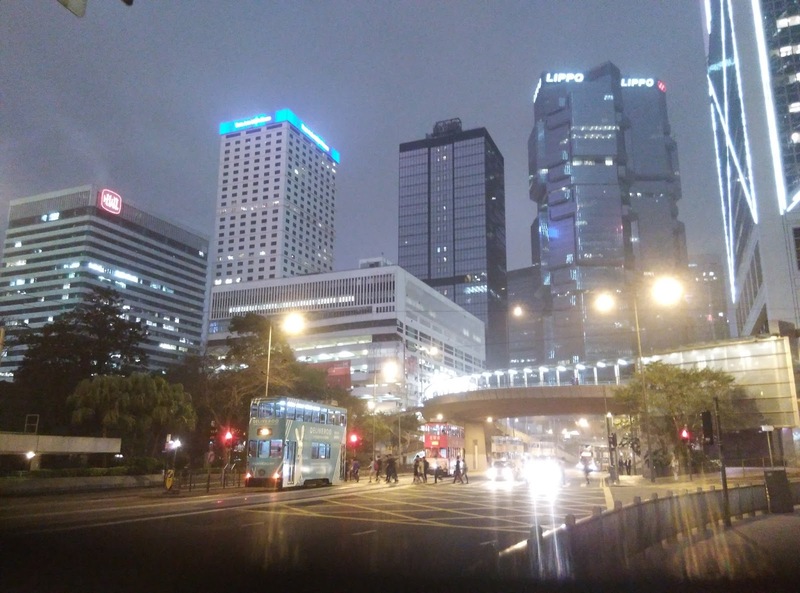 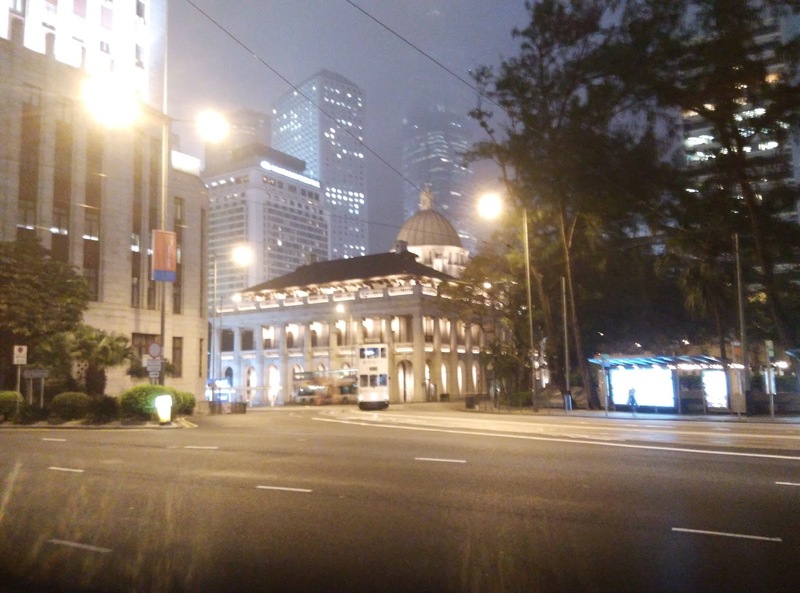 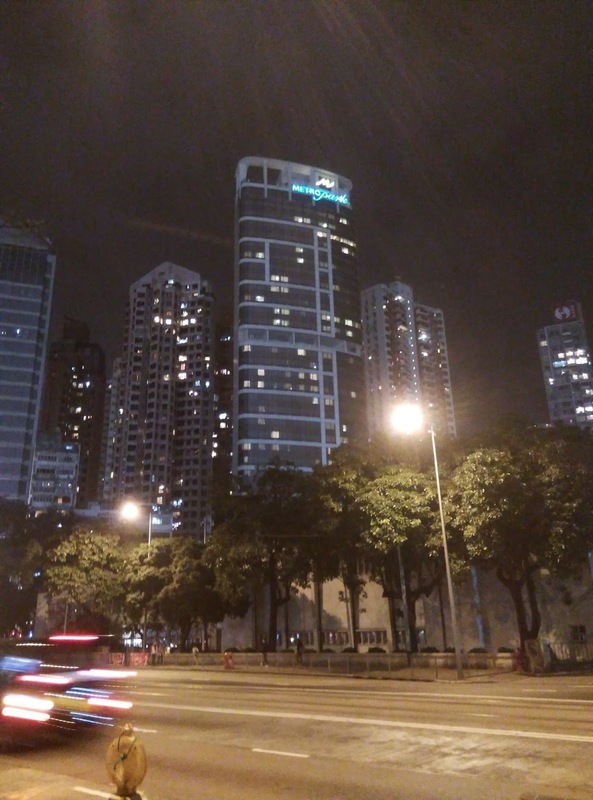 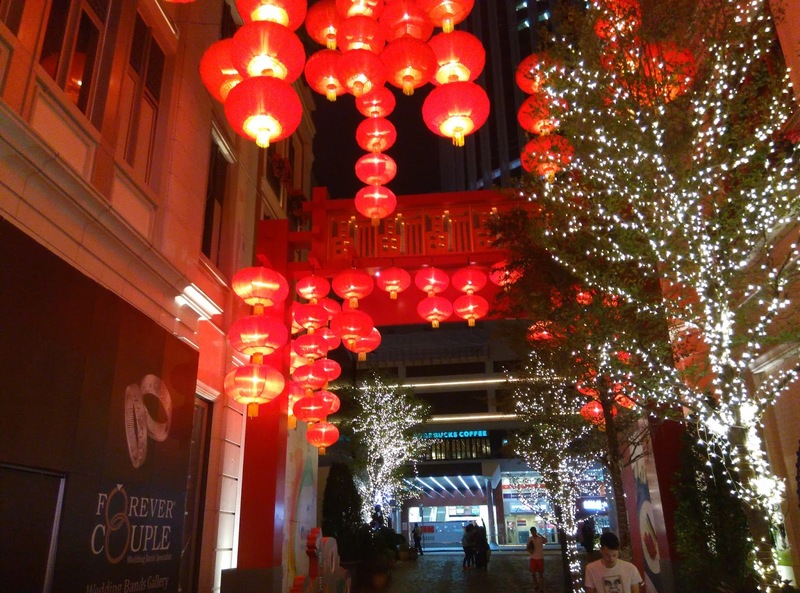 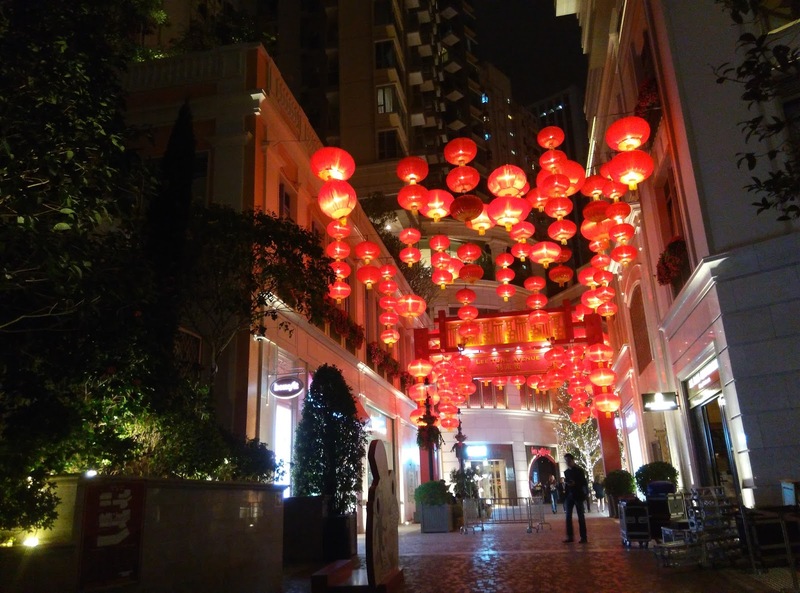 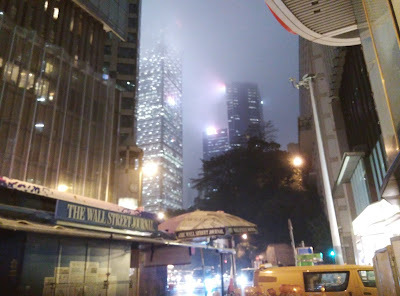 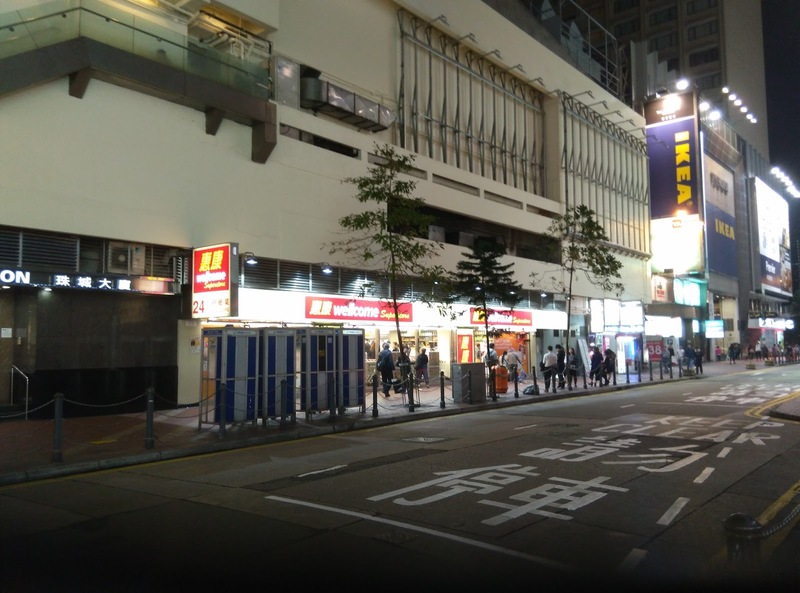 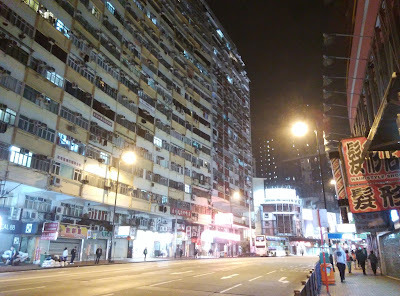 Below you can see some pictures of Lee Tung Avenue. 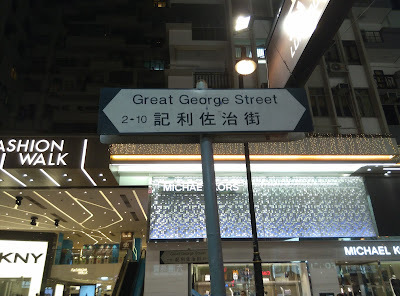 This used to be a traditional street famous for its publishing industry and wedding cards shops. 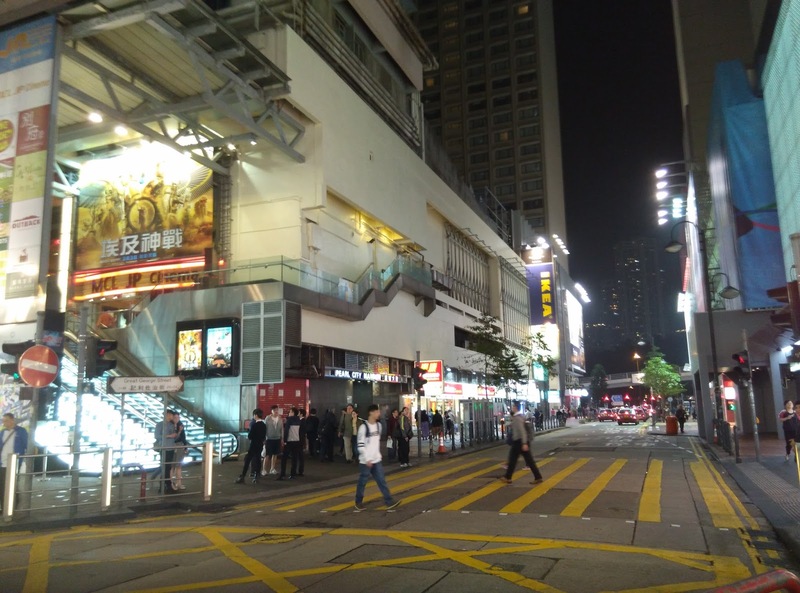 That area was demolished in 2007 and has been replaced by high-rise apartment complexes, luxury shops, cafes and restaurants. Lockhard Road and Causeway Bay: two of my favourite areas. Great George Street. Here there is an IKEA shop and a Wellcome supermarket that is open 24 hours. People who feel hungry at night should definitely go there instead of eating unhealthy burgers or 7-11 food. Causeway Bay Sports Ground, next to the Hong Kong Central Library, is surrounded by residential and commercial skyscrapers. Sports Ground in Victoria Park. 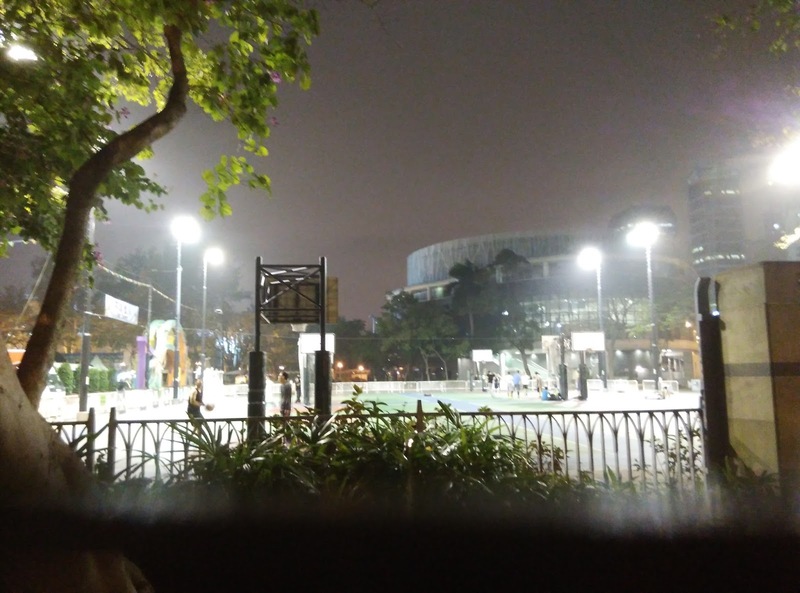 Young people play basketball until late at night. 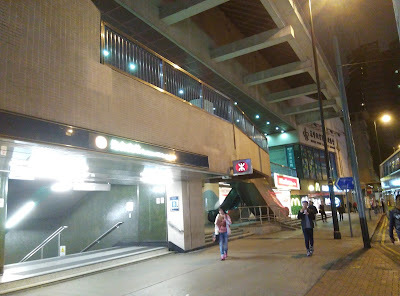 One of the exits of Fortress Hill MTR Station, on King's Road. 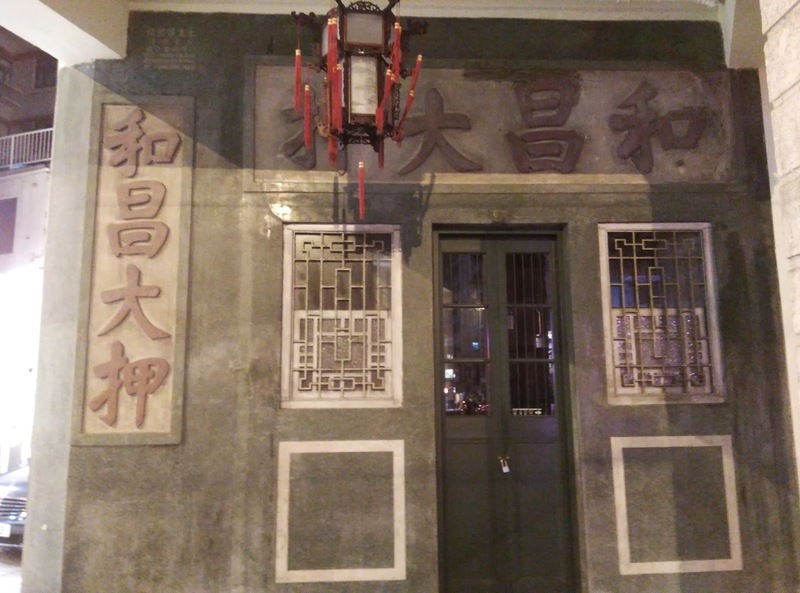 A new vegetarian "street restaurant" recently opened near Fortress hill station. The State Theatre Building, another historic building that faces demolition, like the recently torn down Tung Tak Pawn Shop in Wan Chai.